Children are getting sick very often. From cold and flu to stomach irritations and viruses, teething and other conditions no matter what season of the year we have, kids always need to have their body temperature measured properly. 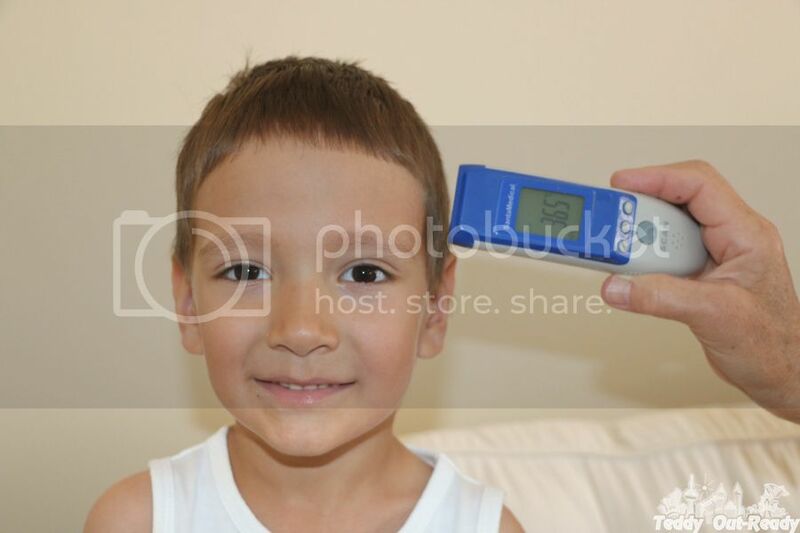 We have a very good ear thermometer and it works just fine, except the situations when we want to take our kid’s temperature during nights or when he sleeps and do not want to disturb him. 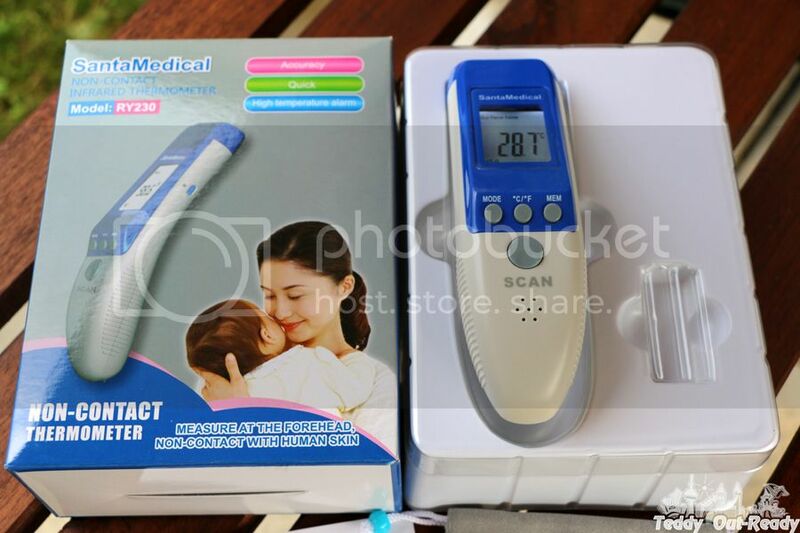 Recently we had a chance to try 2 in 1 Professional Clinical RY230 Large LCD Non-Contact Infrared Thermometer . I like that the thermometer is non-contact to measure the body temperature, very useful when our kid is sleeping without waking him up. With little babies and toddlers this thermometer has many great features; children cannot be quiet even for a second to take their temperature and this Non-Contact Infrared Thermometer gives speedy results on a big LCD digital screen. The measuring distance is 3-5cm. As for accuracy we tested the body temperature using two thermometers, the both show pretty much same results. I like that the data displayed in Celsius and Fahrenheit, since I am more into getting the data in Celsius and my folks in Fahrenheit. There are three modes to measure what was new to us, this Thermometer can take the temperature not only body, but also a room and a surface. It is very important because during hot day your body temperature can be higher than normal and if a room is air-conditioned, the way you feel is not stating that you have a fever but just need to adjust to an existing environment. 2 in 1 Professional Clinical RY230 Large LCD Non-Contact Infrared Thermometer is equally can be used for both children and adults. Besides measuring body and room temperature you can use this thermometer to take surface temperature. It is great for some objects in the kitchen like plates and cups to make sure children do not touch them, or in a car where temperature inside can go up easily on a hot day making it dangerous not only for kids but adults too. 2 in 1 Professional Clinical RY230 Large LCD Non-Contact Infrared Thermometer has a feature when the temperature goes too high, the auto alarm turns on. You can also do not need to remember what temperature was few hours or days ago as this thermometer records the last 32 measurements. Overall, 2-in-1 Professional Clinical Large LCD Non-Contact Infrared Thermometer is a great product for the whole family, easy to use and quick with results. It is light-weight (4.8 oz) and conveniently designed to fit your hand. For more information about the product, please visit company web site. You also check them on Amazon.com and Amazon.ca , the price is very affordable for this quality product, around $40.